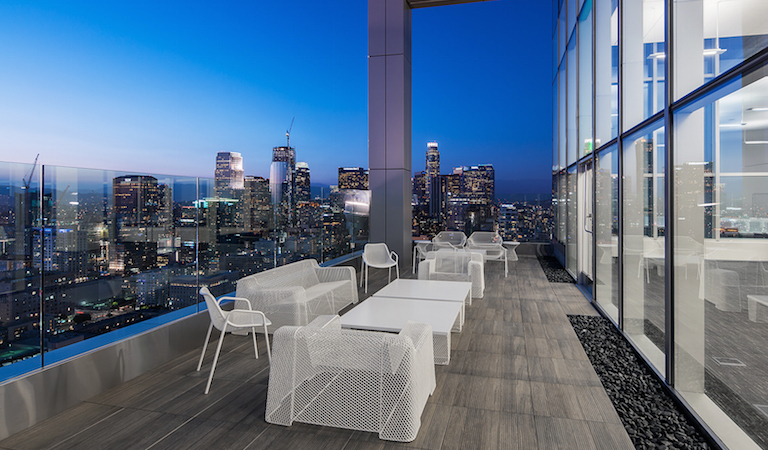 Located just blocks from LA LIVE! and STAPLES Center in downtown Los Angeles, South Park Center is a distinctive Los Angeles landmark that rises 32 stories with an illuminated penthouse crown. The LEED Platinum certified building offers a variety of unique settings for weddings, galas, fashion shows, film premieres and screenings, corporate events, live performances and celebrations.